Before you schedule a court reporter in Switzerland, learn more about the rules and regulations regarding U.S. depositions in Switzerland. Are there any restrictions on holding a U.S. depo in Switzerland? While taking U.S. depositions in Switzerland is permissible, all voluntary depositions are subject to prior authorization by the Federal Department of Justice and Police. Foreign requests must be addressed to the central authority of the canton where the evidence is to be taken or where the person to be deposed is located. To speed up the process, Swiss authorities recommend that you send a copy to the Federal Office of Justice, International Private Law Unit, 3003 Bern, Switzerland. Can depos in Switzerland take place at any venue (hotel, conference room, etc.)? Once authorized, depositions in Switzerland can take place at the venue of your choosing, whether that be a hotel, law firm office, conference room, or videoconferencing facility. Does a U.S. passport holder need a visa to enter Switzerland? U.S. passport holders may enter Switzerland for up to 90 days for tourist or business purposes without a visa. Are there region-based court reporters for U.S. depositions in Switzerland? Optima Juris has experienced, Europe-based court reporters available for your deposition in Switzerland. Can Optima Juris help me set up my depo? We will take care of all the tricky logistics so you don’t have to stress about the details. Optima Juris has everything you need for a successful deposition in Switzerland. We work with elite court reporters and legal professionals to make sure your deposition is in the right hands. Our trusted court reporters have extensive international experience, along with the know-how to get the job done with the highest-quality results. Legal videographers trained in the U.S. Federal Rules of Civil Procedure, so you can be sure that your video record will be taken in a manner consistent with your jurisdiction’s requirements. Internationally-accredited language professionals with deposition experience and unbending standards of quality. Our leading network of 2,500+ videoconference and telepresence facilities is unmatched by any of our competitors. A low-cost option for deposing witnesses in other countries. All you need is an Internet-connected device. Our experts have created a complimentary guide every lawyer, paralegal and court reporting agency should read. 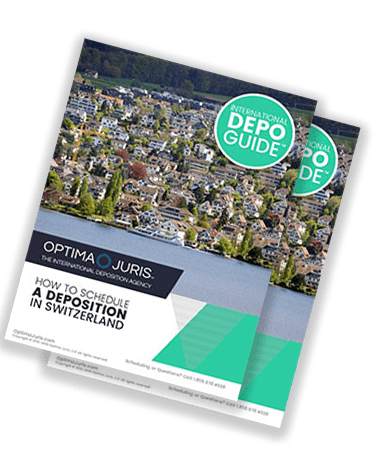 The International Depo Guide for Switzerland is a 6-page PDF that covers frequently asked questions, tips on how to swear in a witness abroad, best options for deposing a witness remotely, a user-friendly checklist, and travel tips. Thanks to better Internet connectivity worldwide, many new options have arisen for conducting a deposition anywhere in the world. Below is a reference guide of the different options for your deposition in Switzerland. scenario to get the clearest record and you are less likely to encounter technical issues. Travel costs can add up quickly. 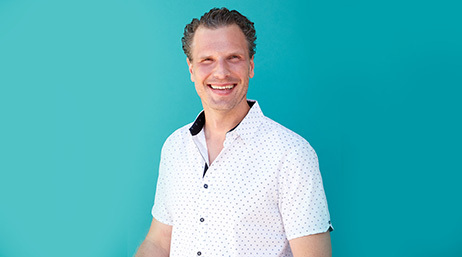 Videoconferencing offers the most reliable remote connection with no to very little lag or interruptions. Videoconference facilities are expensive. Costs typically fall within the USD $400 per-hour range. Cost-effective solution for minor witnesses, sworn statements, or when your budget is really tight. DepoAnywhere™ includes a backup telephone dial-in feature, and an Optima Juris team member to monitor your connection to provide real-time help. Remote connections can be prone to pauses, interruptions, and/or connection lost due to network issues. *For the best and clearest record we always recommend that the court reporter, videographer and interpreter be physically present with the witness. 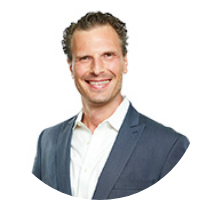 As CEO of Optima Juris, I guarantee that you will be getting the highest quality deposition services abroad. We stand by our services 100% and most importantly, we take away the anxiety of scheduling an international depo. At Optima Juris we are committed to providing you with the very best deposition services abroad without the stress or hassle. We guarantee that your court reporter and deposition team will show up on-time, where instructed, and that the results (transcript, video, interpretation, etc.) will be at the same level you would expect when conducting a deposition in your home town in the States. If that’s not the case, we’ll refund you fully for the defective service, no questions asked. This guarantee is subject to limitations, exclusions, and conditions as outlined in our terms & conditions. Do you have a question about setting up your international deposition? Our experts are here to help! Give us a call 24/7 at 1.855.678.4628.